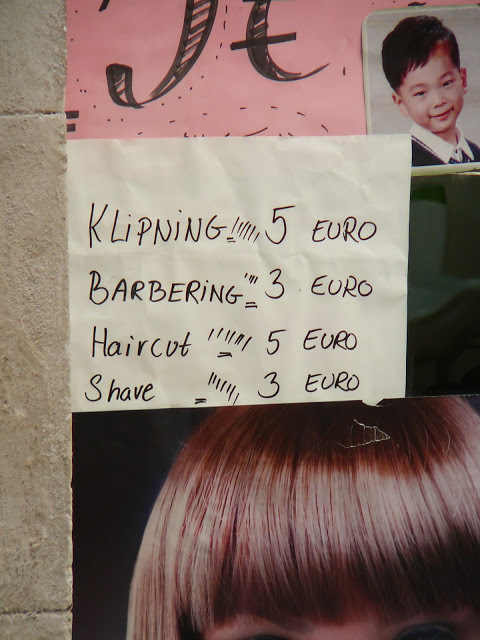 Is klipning the same as haircut, and barbering indistinguishable from a shave, i.e. is this a bilingual ad? Or is there a Danish tweak in there? Wanted: identical twins for testing. José Antonio and José María get dressed. Hotel chain adapting weather forecasts to client expectations on language basis?